For us, marketing is about people. Whether it’s the development of a creative idea, interpreting complex data, or simply sharing knowledge, it’s the relationships between us and our clients that are at the heart of everything we do. This is why our clients stay with us for twice as long as the industry average – because we deliver fantastic work built around them. Founded in 1996, Shorthose Russell has grown to become multi award-winners and are recognised as one of the most-respected marketing and communications agencies in the Eastern region. Working regionally, nationally and internationally across multiple sectors, we help businesses navigate the complex world of modern marketing, with genuine expertise across digital, design and communications disciplines. With over 25 years ‘hands on’ experience working across a variety of sectors including leisure, music, media and fashion Peter enjoys finding the next challenge and inspiring the team to rise to it. Petra, account handling pro, can often be found in the studio angling to be a designer. Her main thing is strategic brand, design and copywriting for lovely clients like Holkham, National Trust, Kelling Heath, Bath Festivals and TA Hotels. Obsessed with Sarah Raven plants, killing slugs and BBC weather forecast for NR10. Sophie is a recent marketing graduate from Anglia Ruskin University. 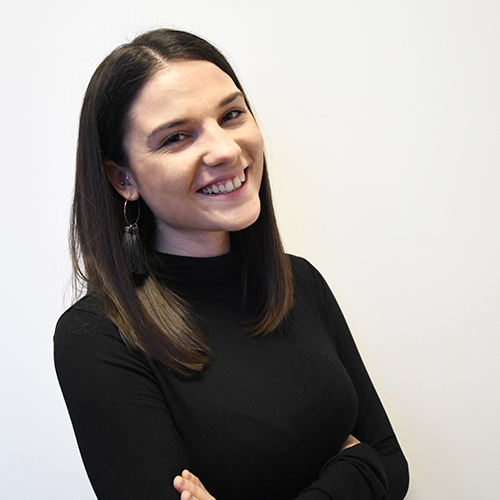 Sophie enjoys working in both PR and Digital and has a passion for creating content. Oh, and she is a social media enthusiast. When not at work, Sophie loves to travel and explore new places, go skiing and take hundreds of photos of her dogs. Steve has worked in the creative industry as a graphic designer for over 30 years. A creative all rounder who's worked for some major UK Blue Chip brands delivering visual solutions that work across a range of media including digital, 2D and 3D applications. He's thoughtful and approachable with a can do attitude. Jason loves to get involved in just about anything creative. Well-designed packaging makes him happy. A multi-tasking perfectionist, loves order and dislikes chaos. He’s passionate about mid-century design, creating inspirational interiors, film, fine dining and travelling the world. Pete has helped develop and lead communications planning and strategy for a wide range of leading brands. As Managing Director, he has a hands on role with clients and is actively involved in their business, helping not only to advise but also deliver and support their communications objectives. Paul helps clients build clear online marketing strategies that incorporate a wide range of channels and techniques, including SEO, PPC, CRO and social media. Paul’s other passions are sport, music and real ale. 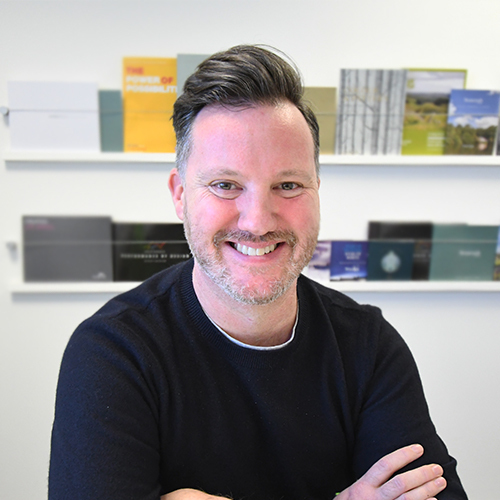 Chris, a multi-disciplined designer and father of four, has worked on all manner of projects in architecture, creative technology, print and web. He has delivered work for charities, fashion houses, banks, car manufacturers, hotels, breweries… the list goes on. Loves to lock himself in his shed, to restore vintage cars and guitars. When it came to career decisions, it was either photography or graphic design and design came up tops. And as it happens, photography is back in the game anyway, as Jessica is often out there filming and taking shots for clients, and then editing back in studio. In her life outside of work Jessica loves to ski and can often be found on the beach with her dogs. 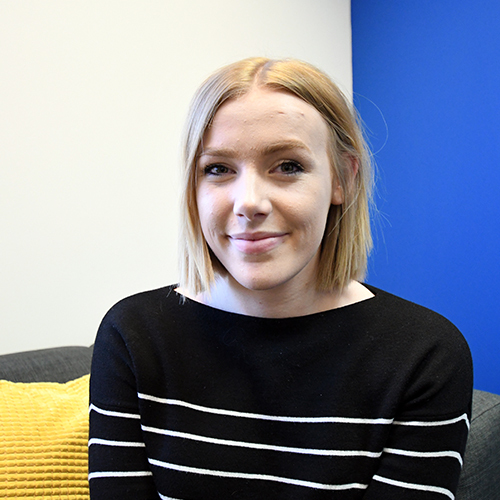 Since graduating university almost three years ago, Hannah has mainly worked in house, and she’s excited to have made the leap into agency life. She has a keen interest in typography and digital design, brand identity and iconography creation. 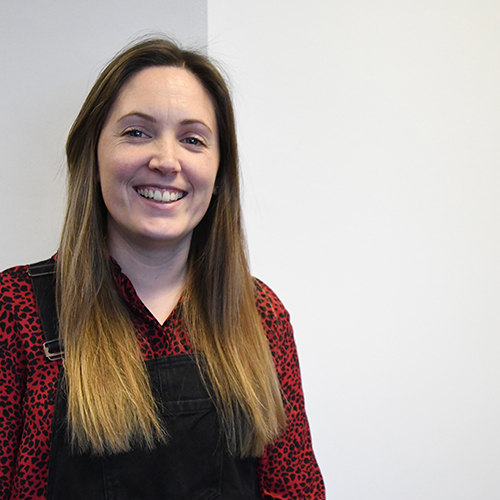 A UEA media graduate with experience in managing successful PR launches, writing engaging content and social media management. Daniella uses her strong media relation skills to secure coverage in national and online media in the travel, hospitality and B2B sectors. Originally from Essex, Daniella loves coffee and keeping up with popular culture. Chris has over 15 years national and international marketing and public relations experience. He has held senior roles for Virgin Mobile in Australia and Canada, The Carphone Warehouse, Aviva and RAC, including. managing PR for nine Virgin Festivals in Canada and numerous press trips and press conferences for Sir Richard Branson. Ania ensures that our clients understand the digital world and how it can bring big returns. Her career has mostly been client side working across a diverse range of industries. Her experience enables her to expertly understand the needs of a wide range of clients. When she's not talking tech, Ania loves to travel, eat out (a lot) and boxing to calm herself. 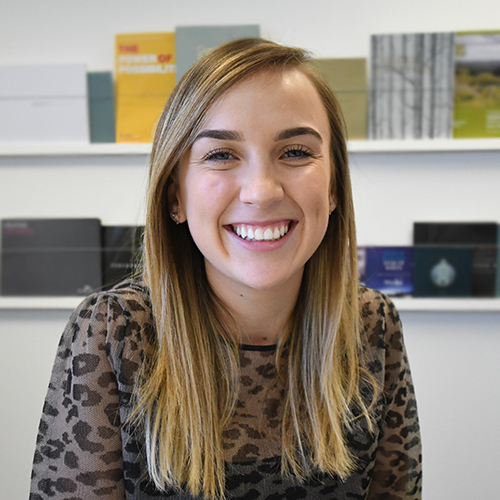 Maddie has worked in digital marketing in one form or another since graduating from the University of East Anglia and refusing to leave Norfolk. Whether working on a web build or pushing up a client’s conversion rate, problem solving is what keeps it interesting for her. A former hack who started life as a local reporter and graduated to Sky News before returning to Norwich with his family following a stint in charity communications at Save the Children. Mark provides strategic advice and guidance, as well as practical PR services to a range of clients, including: Hoseasons, Brown & Co and various schools across the county. Ed’s spent 25 years making the right creative calls to help people build their businesses. First at fashion brand Ted Baker then with such clients as John Lewis, Next, and Telefonica. He brings his influence to bear on all our bright ideas and the people who dream them up. Gene lands at Shorthose Russell after 10 years of practising PR in London. His experience includes multi award-winning integrated marketing campaigns and clients Proctor & Gamble, Beats by Dre, adidas, Sonos, Diageo, Direct Line, MTV, Comic Relief and Zippo as well as sport sponsorship programmes for Nissan, LG and Whirlpool. Sam has over 20 years’ professional experience with an in-depth knowledge of graphics. Designing for many global and domestic brands he offers innovative conceptual design and client-focused delivery. Sam is committed to injecting creativity into all projects and getting great results quickly. Georgie is organised, tidy and in control, smiling all day and enjoying what she does. Loved design at A level and loves even more planning hot sunny holidays in exotic locations. Outside the office will be found with friends, family and frequently in the gym. Chris bought an agency, merged it, grew it, sold it, left it. Now he's excited to help this business be all that it can be. A firm believer that people perform best when using their natural talent and personality – their authentic self. In his free time, you'll find Chris trying to master running, yoga and being a Norwich City fan.